Three weeks after triumphing with star mare Forever Unbridled in the Breeders' Cup Distaff, jockey John Velazquez, trainer Dallas Stewart and owner-breeder Charles Fipke teamed up for more Grade 1 glory when Seeking The Soul landed his biggest win. The four-year-old, well beaten in last year's Belmont Stakes, was held up in midfield but pressed on to take over from front-running favourite Diversify and then repelled closers Good Samaritan and Hoppertunity, who was running in the race for the fourth straight year having won it as a three-year-old for Bob Baffert in 2014. "It's a great honour to win a race like this for Mr Fipke and Dallas," said Velazquez, earning his third victory in the Clark. "It's been a really good month." That view was echoed by Stewart, who was tempted to run the four-year-old in the Breeders' Cup Classic at Del Mar. "It's been a great month," he said. "I'm so happy to win another Grade 1 for Mr Fipke. He's allowed me to space out this horse's races and I think that's helped in his development. It was a great effort and a great accomplishment to win the Clark." 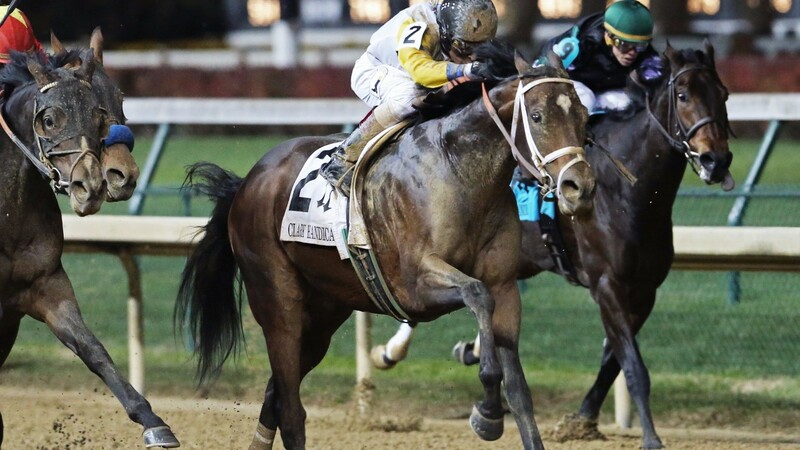 The Kentucky-based Stewart, winning the $500,000 Grade 1 for the first time, added: "After he won the allowance race on his last start at Keeneland I really wanted to run him right back in the Breeders' Cup Classic, but I settled down and thought about it and pointed him for this race. "I think we got a bit aggressive with him early in his career when we tried in the Belmont Stakesm but I knew he was that calibre of horse."